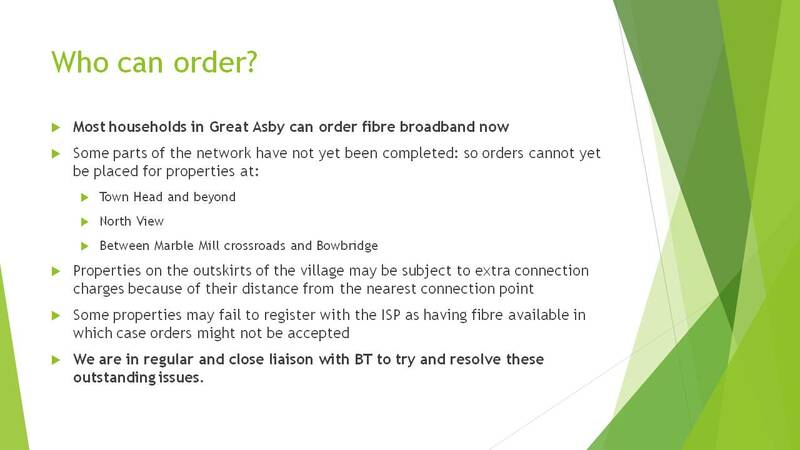 BT provide telephone services to Great Asby via a TPON infrastructure. 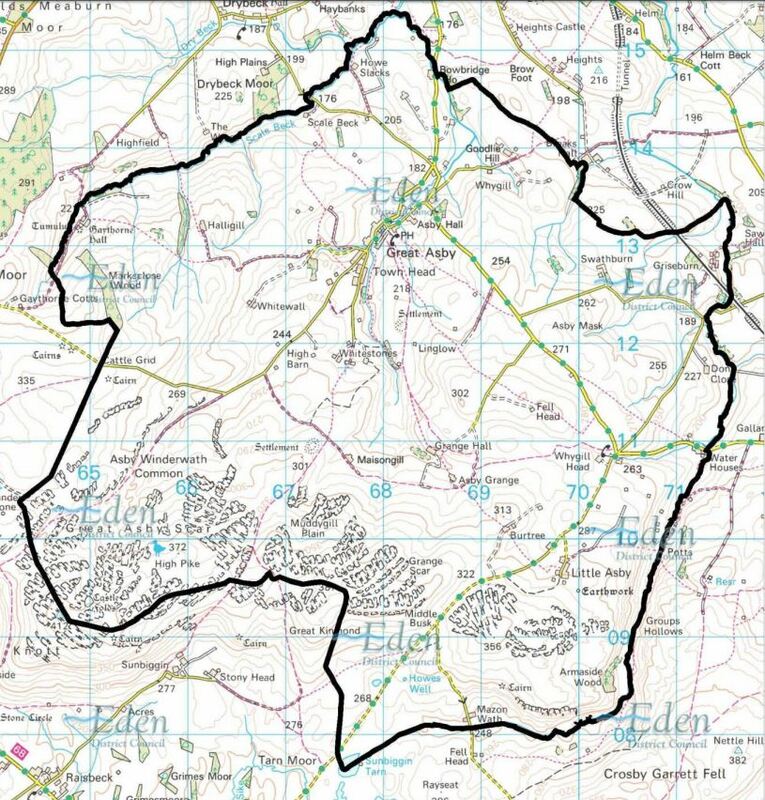 Seemed like a good idea at the time! 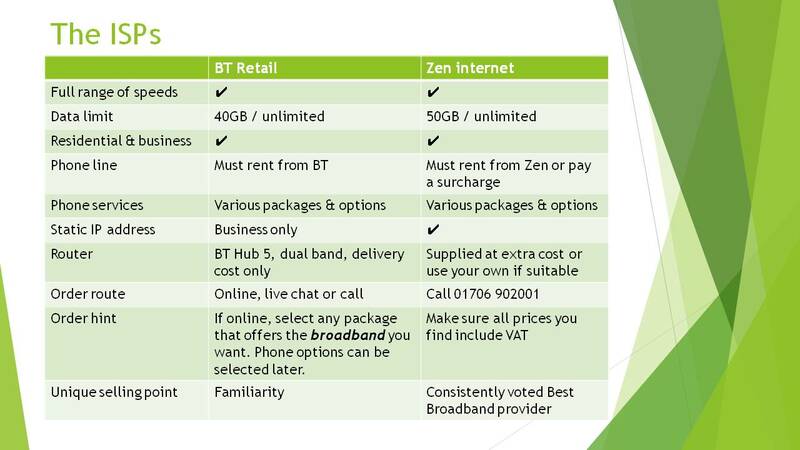 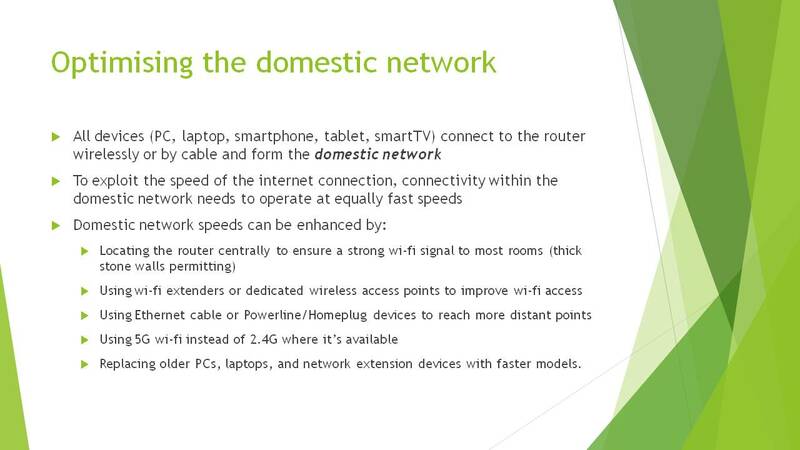 ADSL broadband service becomes generally avalable in the UK. 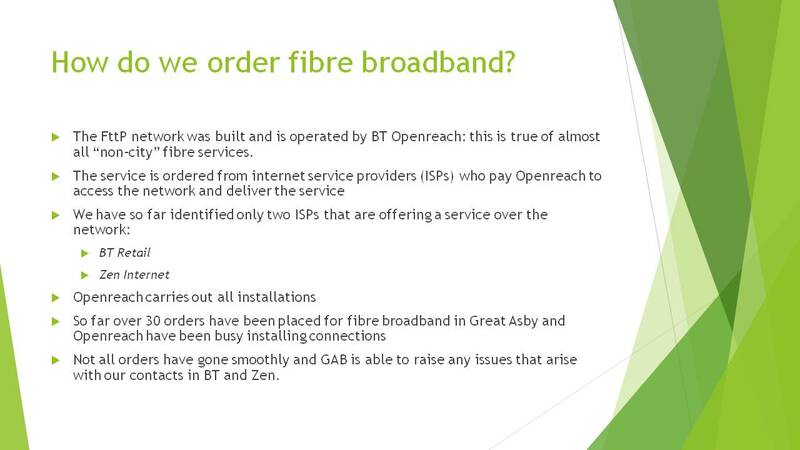 But not to Asby, due to our TPON infrastructure. 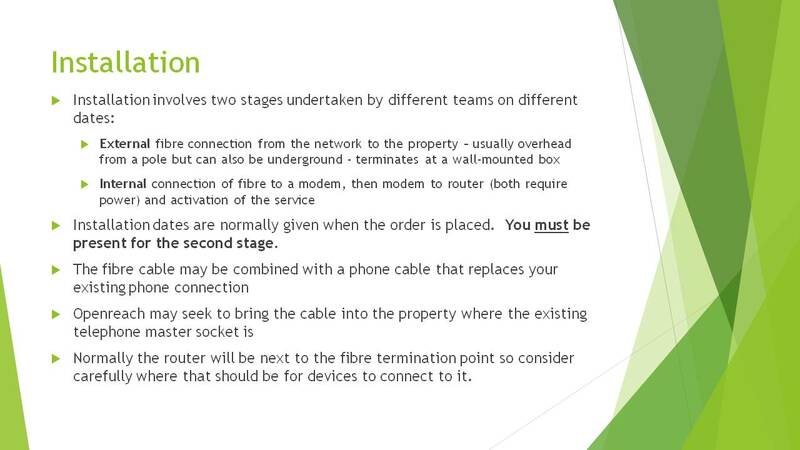 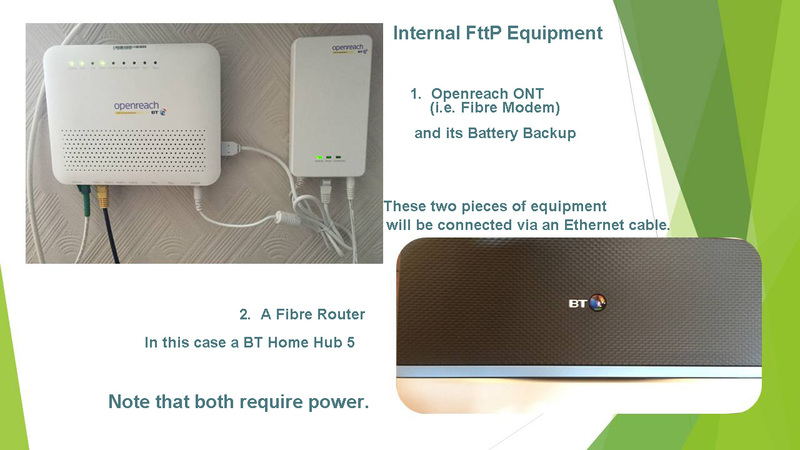 Fibre to the Cabinet (FttC) broadband service commenced. 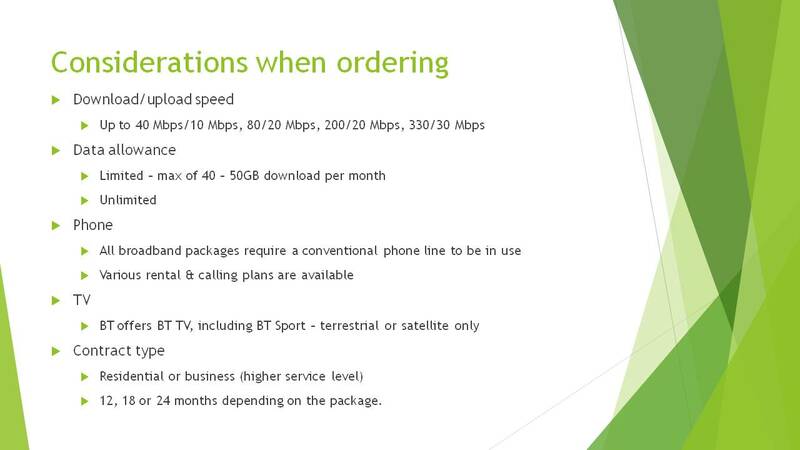 But again this is unavailable to Asby due to you-know-what. 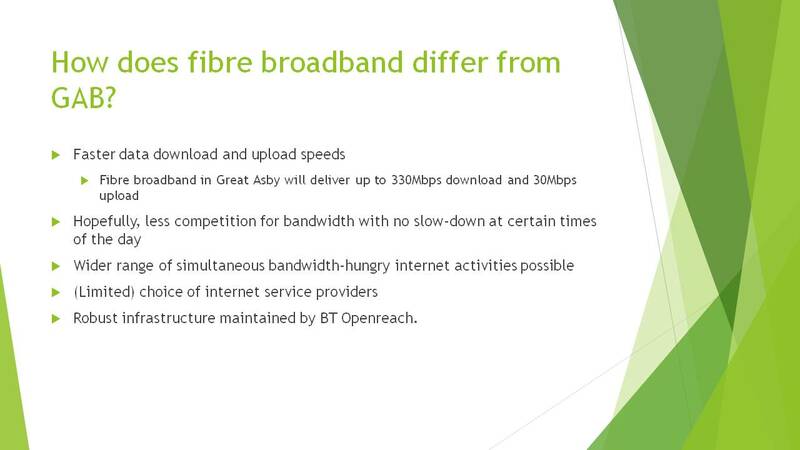 BDUK receives £500m+ to promote superfast broadband in those parts of the country not served by the market. 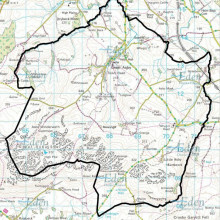 This led to the “Connecting Cumbria” programme. 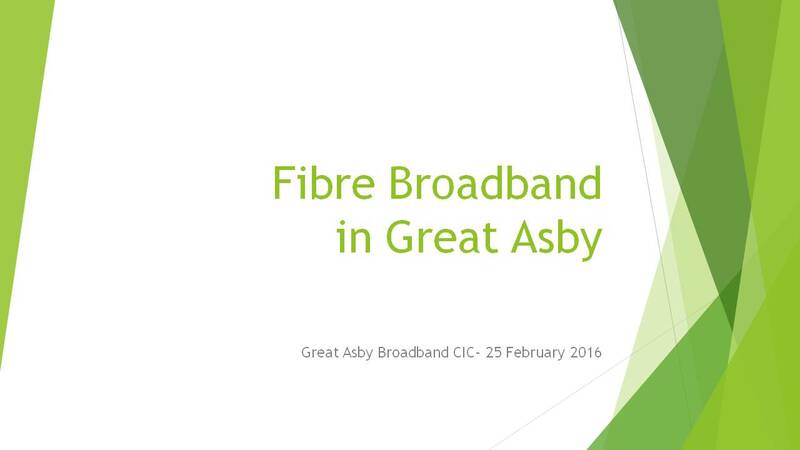 Openreach provide a modern fibre-optic network to individual premises in Great Asby, making FttP/FttH services available to most residents. 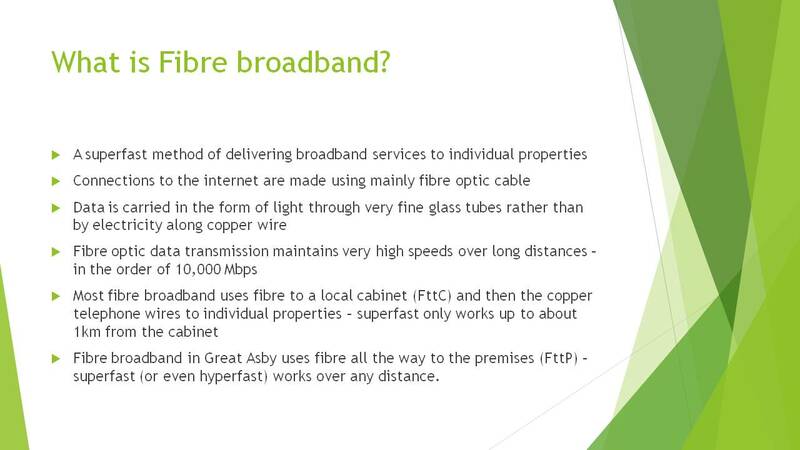 Thanks are due to the Directors of Great Asby Broadband (GAB) for their continual lobbying of Connecting Cumbria and BT to make available a long term superfast broadband solution for the parish. 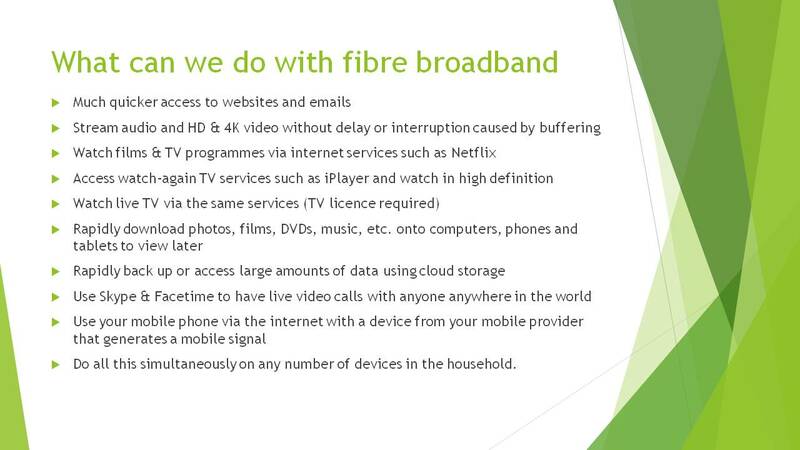 This has resulted in an FttP (Fibre to the Premises) service being made available for the majority of it residents and businesses. 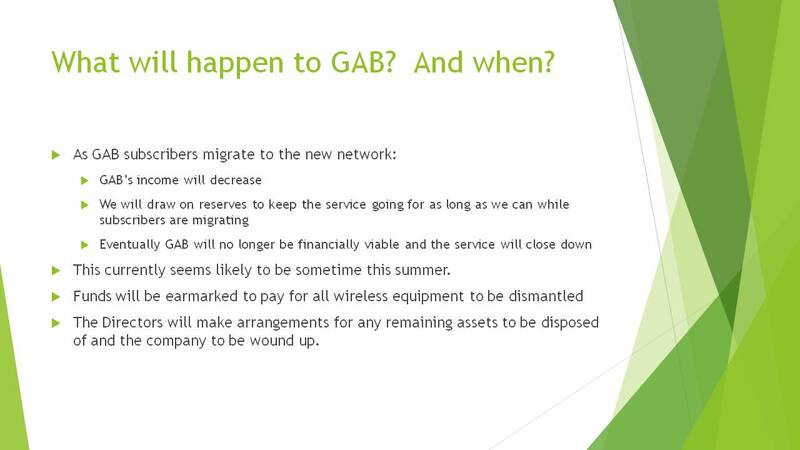 Furthermore, GAB continues to explore means of servicing the outlying members of our community. 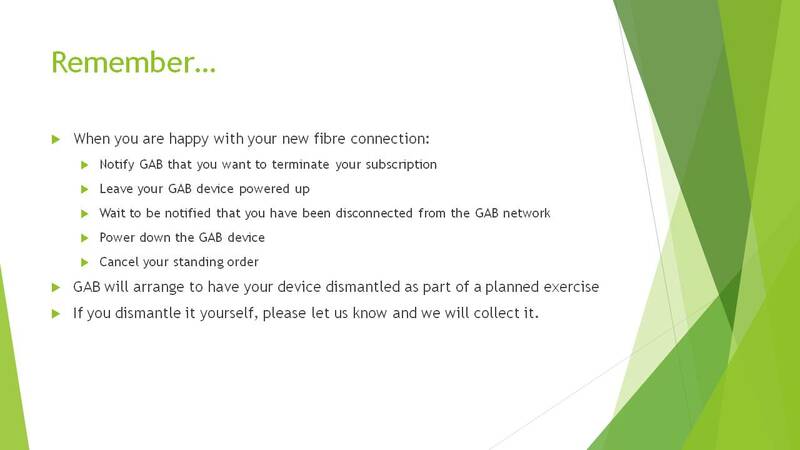 Their latest Newsletter provides more information, as does the slide presentation below.